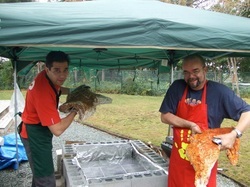 Teacher appreciation party and Pig Roast/ BBQ. We'll do a pig, of course. This is a free party for teachers, but please bring a side dish to share and/or some drinks (we've done it both ways and it works best when everyone is involved). It is on Sunday, but Monday, Sept 24 is a national holiday. 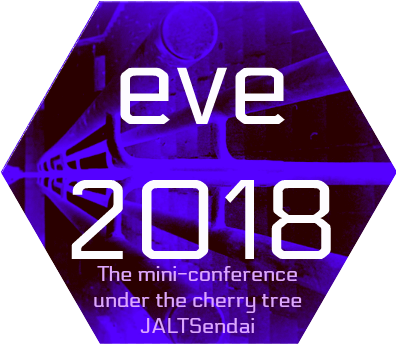 Note that this mini-conference is an official JALT event. 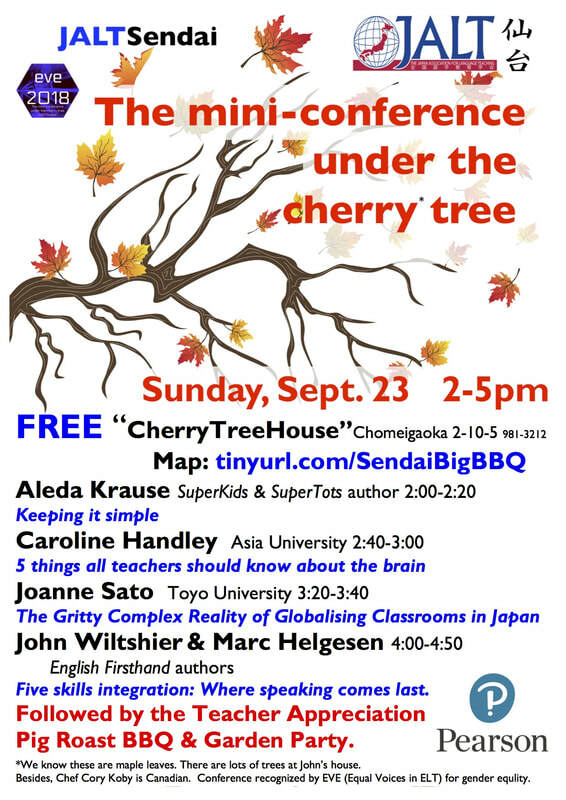 If you need proof of attendance from JALT, we can provide that. Champagne & cheese Kampai at 5 pm. Accommodation:​ If you are coming from out of town, book early. Sendai always runs out of room on weekends. Thanks to our publisher PEARSON for supporting this.